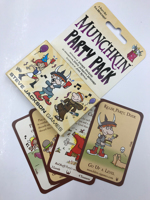 Daily Illuminator: Party Pack Production Pieces! 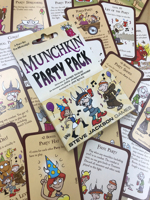 October 19, 2018: Party Pack Production Pieces! 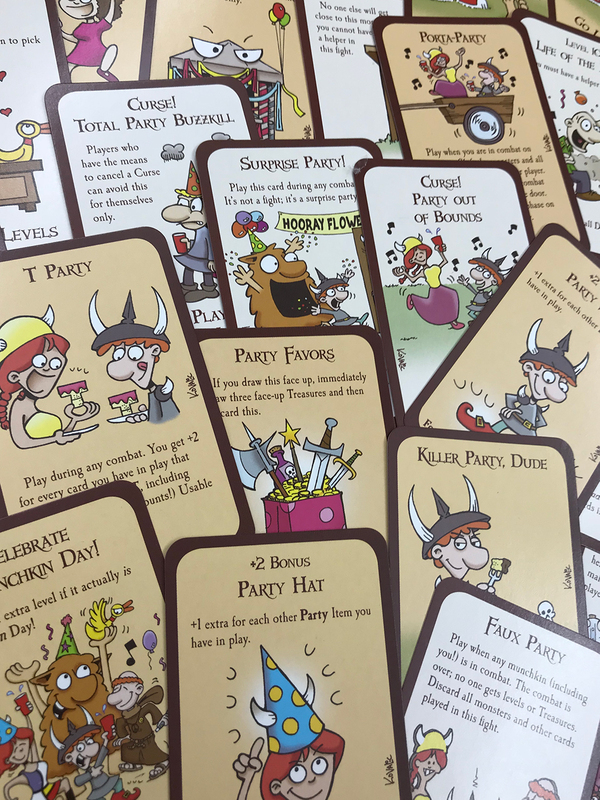 An important and exciting step in taking a game from "crazy idea" to "crazy idea that is a physical thing people can buy" is the production sample. 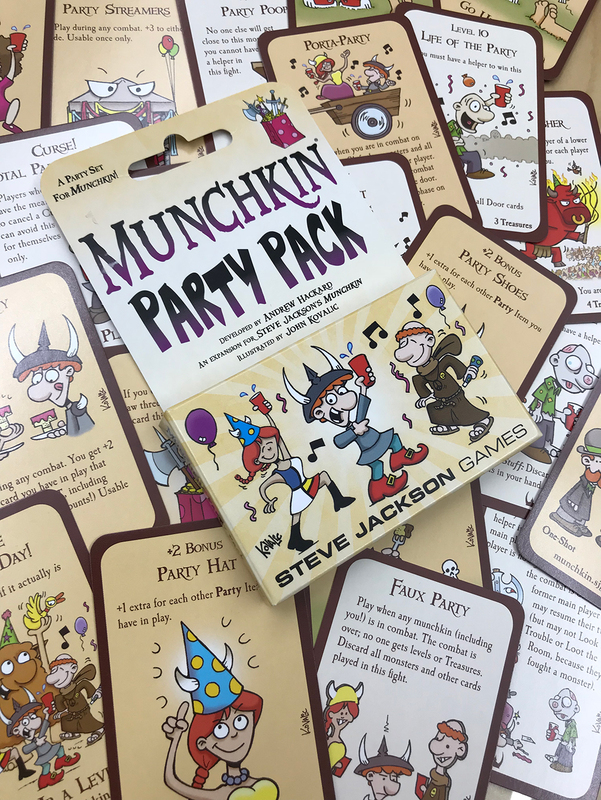 This is an actual copy of the actual game as it comes out of the actual factory, bundled up and airshipped directly to Austin at some expense, so we can make sure that all the components – cards, rules, box, etc. – match what we were expecting to see. By this time, we've already seen and approved digital proofs and (usually, not always) a tooling sample, which uses the approved digital files to make a small number of copies by hand rather than automatically. 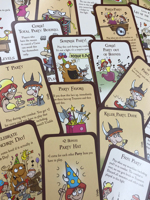 If we find major problems in the production sample, that's a "raise the red flag and hit the brakes" moment, because it's our last chance to make fixes before the entire print run is complete. 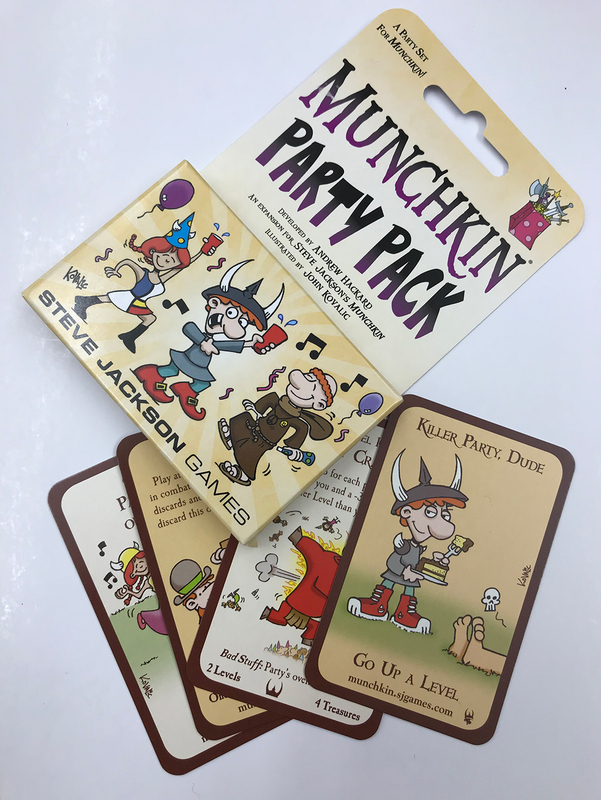 Here are some photos of the production sample of next month's Munchkin Party Pack, courtesy of Kat Ryder (a.k.a. Gloryhoundd), who came to help us out at our annual retailer-appreciation event and snapped these pictures while she had a slow moment. Thanks, Kat!